How successful was I in July? I hoped that my bulbs and plants would continue to grow well throughout the winter months and THEY ARE! I have so many buds opening all over the place and to crown it all, my Azaleas are quite spectacular this year. I’m very happy! 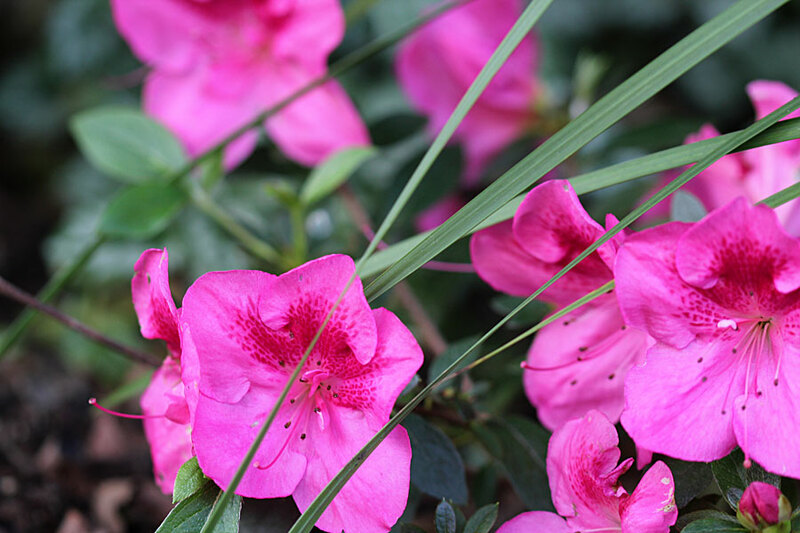 I had considered getting rid of the Azaleas at one stage – boy am I glad I didn’t! I hoped to get the back garden planted up with new plants on the side that was damaged during recent plumbing improvements – we are getting there! I’ve planted 47 new plants so far. It’s a very large area (far larger than I realised) and it will take a lot more planting to get it looking like something I can be proud of. The thing is that I have a vision and have carefully researched and selected the plants I want there. Not all the plants are currently available so I want to wait until they are. I’m tired of planting things just for plantings sake and to “not have bare patches”, only to end up with stuff I don’t really like or want. So this time I’m waiting for the plants I really want there for the long term. If it takes a bit longer to get it looking nice, then so be it. And finally, I hoped to get all my little “projects” completed, once and for all – Did I? Noooo – that was wishful thinking, wasn’t it? What am I hoping for in August? Get ALL the beds composted and mulched in preparation for spring. Get the destroyed lawn area reworked by adding compost and preparing the soil for one last attempt at having a beautiful lawn. Restock the veggie planter with basil, coriander, lettuce, parsely and … one or two others still to be decided. Start thinking about the front “Gardenia bed”. Not happy with it anymore, I think it’s a bit of a mess. So I want to think about it and work out what I really want there and start working towards redoing it. That’s all folks, what are you planning to do in August in YOUR garden? Join us all over on Hanni’s blog and share what you are hoping for – Hope Grows August 2011. I would recommend a product called ‘Quickphos’ to solve your mole problem. It is available in a canister of 30 tablets. The tablets work by giving off toxic fumes, so you would need to wear a mask and rubber gloves when using them. This is what you do – find the latest molehill and in the centre you will find the tunnel, drop 2 tablets down the hole, then block the hole with wet newspaper and replace the sand on top of this. The toxic fumes will travel through the tunnels and kill the moles. It will not affect your soil or plants and it really works! Hi Harry – thanks so much for the tip. Do you stock it? I promise I am coming out to Noordhoek one of these days to come and see your Nursery! it’s on my “list of things to do”. That’s great to hear Christine. We’ll have to make sure the nursery is looking great when you come! Then I’ll be seeing you this week for sure! I have to get the moles under control and I’ve been meaning to visit your nursery anyway, so I will do it this week. I hope you have some Barlerias, Plectranthus madagascariens and Helichrysum petiolare in stock for me – if not, I’m sure I’ll find other things to buy . It will be one afternoon during the week, are you always there? If not, let me know what days you are. Thursday is the best day to come because all the new stock comes in on a Wednesday. My brother Jeremy will be there if I’m not as I am in and out ut hopefully i’ll be there to see you. We should have those plants in stock. Wow – 47 plants and you’re not through yet! That must be a large bed! And you hope to get all the beds composted and mulched this month! You go, girl! I can’t wait to see all the bulbs you planted springing up this spring! Good luck with the mole problem. My advice? Get a cat! hi Holley. it is a very large bed. I think I need to measure it and blog about it so you can understand what I’m dealing with. For a novice like me it’s quite daunting. Hi Christine, It is always frustrating to try to deal with persistent garden pests. I seem to be swamped with them at the moment! We gardeners are never satisfied and are always revamping are garden beds. Like your front bed, my back flower border needs a bit of a makeover. But that is the fun of gardening, isn’t it? I am glad that you decided to keep the azalea. It is beautiful! 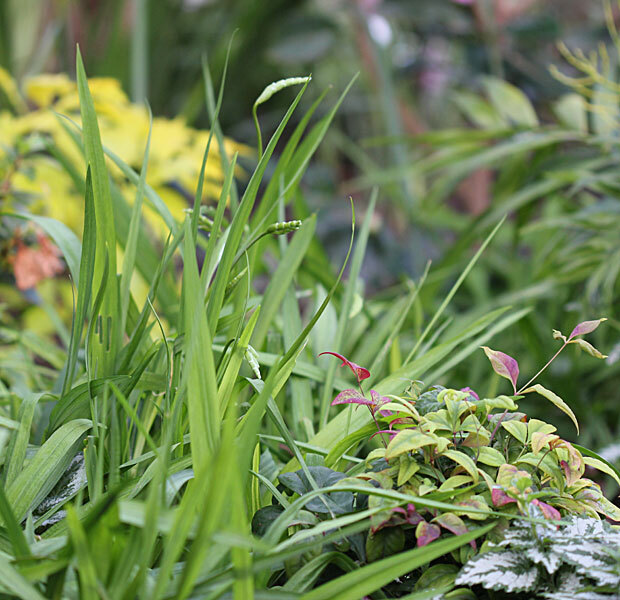 Hi Jennifer – I read an interesting article yesterday that made me realise it is totally ok to change my garden. They said – much like a room in your house, you wouldn’t feel bad buying new curtains or a new sofa, painting or redecorating – so why feel bad about doing it in the garden? I’m learning all the time . 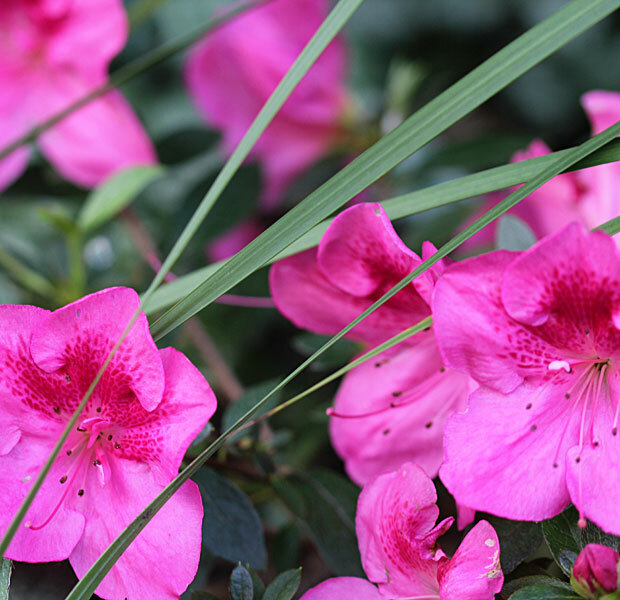 Glad you approve of me keeping the Azaleas – it was touch and go – they don’t look great in the heat of summer and sure make up for it in winter! Slightly off topic. Do you subscribe to the Ludwig’s Roses newsletter? Hi Diana – THANKS!! I wasn’t subscribed, I am now! Funnily enough, Barbie and I are planning to go to the Tokai forest and collect pine needles for mulch! I wanted them for my Makhaya Bella – so now I’ll use them on the roses too. I also don’t like to cut off the flowers! I watched a video on how to prune a standard – they just cut and throw the flowers away! I cut and put in vases the day before I pruned. (Now I have sticks with 4 twigs on – very weird! I hope that in October I will be happy I did it). I read yesterday, Keith Kirsten says you can do rose pruning up to mid August in the Cape).